El Centro can be easily accessed from points north and south of Puerto Vallarta. Unless you drive via the Libramiento (highway town bypass), it is impossible to cross the city without passing through El Centro. Street parking is available, although your best bet is to park your vehicle in one of the two parking lots available in the area—the underground parking garage at Parque Hidalgo on the north end, and the Benito Juárez parking lot right before Isla Río Cuale on the north end—and walk to your destination. Public transportation and taxi cabs are readily available, should you prefer to take a short ride within the area. Coming from Marina Vallarta, the area we refer to as El Centro begins right after the Hotel Zone, as you are heading into town from points north. In fact, you know you’ve arrived once the pavement on Francisco Medina Ascencio, Puerto Vallarta’s main thruway, has been replaced by brick roads and cobblestones. It is divided into several colonias, or neighborhoods, one of which is, in fact, called El Centro. Continuing further east the coast #200 highway meanders through the popular hillside neighborhoods of Amapas and Conchas Chinas, following the southern shoreline to Costalegre. El Centro is rich in culture, gastronomic opportunities, history and with many entertainment options available. This is where the action is, a sensory and cultural feast never to be forgotten. Eclectic and bohemian in feel with world-class offerings, its dining and art scenes are extraordinary, the nightlife abundant, no visit here complete without a stroll and people-watching session on the popular oceanfront promenade. The promenade, or "Malecon" as it is best known, is dotted with fascinating monumental public art, with one side lined with intriguing shops, restaurants and bars, while the other with the shoreline of Banderas Bay. There is always something going on on the Malecon, from street entertainers, spectacular events frequent at the Los Arcos outdoor amphitheater or dancing in the plaza in front of the church - all free of charge. Arts shows are frequent, as local painters come out to show off their works. In the evenings the Malecon really comes alive until the early hours of the morning when people come out to enjoy the many open-air nightclubs and bars. El Centro's narrow cobblestone streets are quaint but can be challenging to navigate, especially those running east to west up the mountainside in the El Cerro and Gringo Gulch neighborhoods — the latter where Liz Taylor and Richard Burton once lived. The Malecón beach is called Playa Dorada, but it is rarely used for swimming. There are rocks and the waves break close to shore. Further east, in Colonia 5 de Diciembre, the beach is more commonly used for walking and swimming, and can be easily accessed through several dead-end streets. Most people, though, prefer the Los Muertos beach in Emiliano Zapata for swimming. The water is calmer, less waves, and more beachside clubs and restaurants. 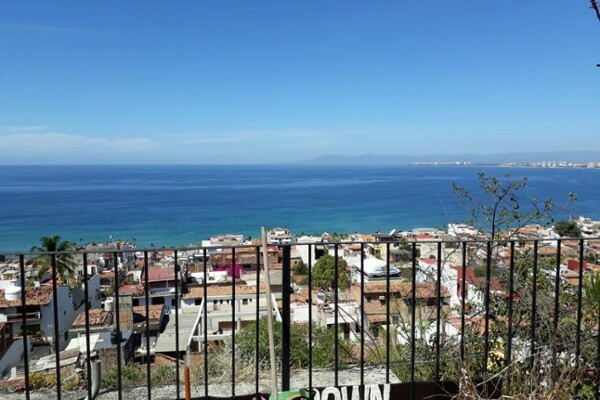 Very traditional homes and small apartments dot the hillside of El Centro, offering wonderful views of the town and bay. Along the Malecón, which now stretches from one end of town to the other, there are mostly shops, restaurants, and nightclubs, with few homes or condominiums. 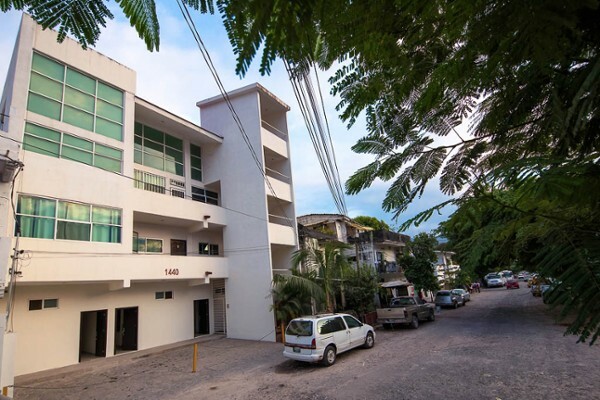 Most development now is taking place on the other side of the Cuale River in Emiliano Zapata, but it is only a matter of time before this development spills over into Central Vallarta. Puerto Vallarta Mexico Real Estate options are limited to older homes for sale and small boutique condominium buildings. You can't beat the location, as you can walk to most everything, but then most everything can be a little noisy at times as well. 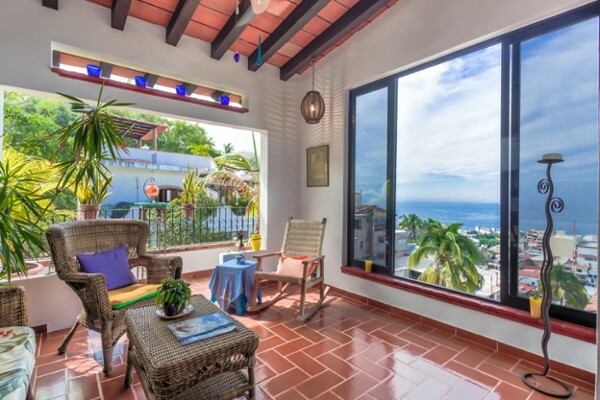 On the north side of Cuale River, the most real estate can be found in "Gringo Gulch", situated on the hillside behind Puerto Vallarta and overlooking the river. Iconic builders such as Wulff and Romero built homes for gringos on the hills behind the town and along the Cuale River (hence the nickname for this area). Most of the homes here are classics with many remodeled. East of the Cuale River offers some homes but mostly condominiums for sale along the beach. And then further southeast, on the hillside overlooking the bay and town, is Amapas and Conchas Chinas, which have a mixture of homes and condominiums, with most recent construction being condominiums. Spectacular views from most of these properties. Along the shore are mostly high-end homes with a few condominium projects. 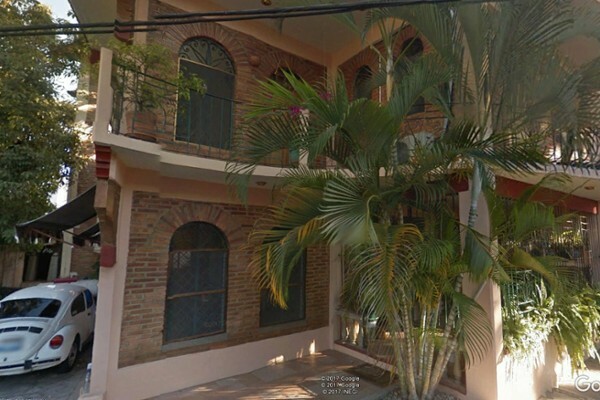 Below are some of the Puerto Vallarta Mexico Real Estate properties currently listed for sale. 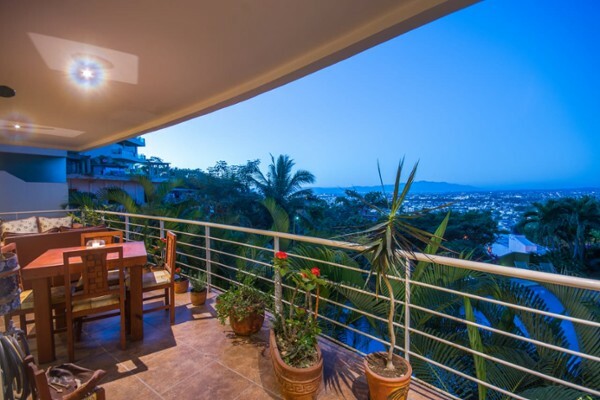 Condominium Las Vistas is an exclusive complex in a nice mexican neighborhood of PV.